Hey guys! Its Blaze Stone back with another guide for you all! Today, I will be talking about one of the strongest card in the game at the moment: The Mega Knight! 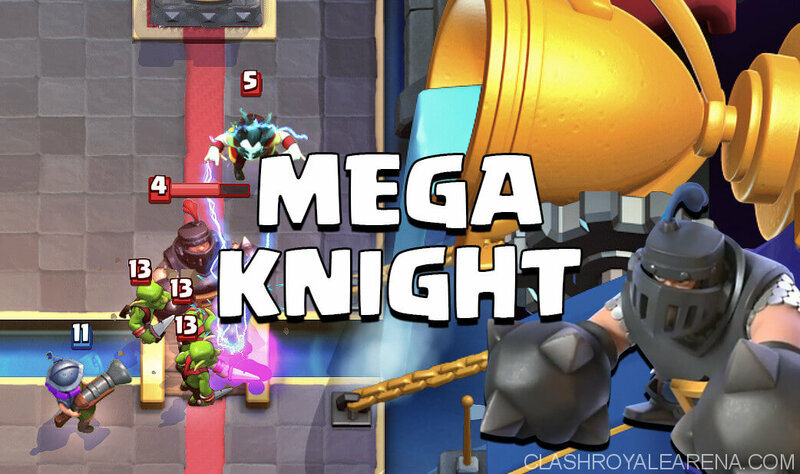 Mega Knight is a Legendary Troop card costing 7 elixir and is unlocked from Arena 10 (Hog Mountain). It is a beefy tank with 3300 HP and does Splash damage! It deals 240 dmg (Same as The Log) per hit. Its main strength however, is its Spawn damage and Jump ability due to which it deals 480 dmg! Mega Knight’s spawn is similar to that of eWiz except that he deals more damage but only to ground troops. His Jump ability is similar to Bandit’s dash ability. Both have the range 0f 4-6 tiles and their damage is doubled, except that Jump doesn’t come with invulnerability and cards that target air can hit him while he is airborne. One main attribute of its Spawn damage and Jump ability is that they deal 360° Splash damage while its normal hits deals damage only on the side he attacks. Even though his name is Mega ‘Knight’, he can be a considered more like a bulked-up Dark Prince. Both deal ground splash damage with similar weapons and similar damage, both have an attribute (Jump and Charge respectively) so that their damage doubles and they deal 360° splash damage. Mega Knight’s normal dmg can be considered as dmg of The Log while its Spawn/Jump dmg can be considered as dmg of a Fireball. These things should be kept in mind while using him on defence so that you can determine the number of hits it will require to kill certain troops. For e.g. MK will take Spawn/Jump hit + 1 hit to kill 3M or 3 normal hits otherwise. Unlike other tanks, it has Medium speed instead of Slow speed i.e. speed of a Knight. So, he will move faster than other tanks as well Jump ahead and therefore, it is difficult to form Beatdown pushes with him. Therefore, he is a Control tank rather than a Beatdown tank i.e. instead of forming pushes, use him more often more on defence (utilizing its Spawn Damage to max) and then go on counter pushes. In many cases down here, you can find more or less similarities in PEKKA and MK. On offense, Mega Knight should be used mostly in form of counter pushes. Since, he is not a card for slow paced pushes, he should rather be used in fast paced pushes with cards like Hog Rider. Mega Knight deals ground splash damage, so he is weak against air troops like Minion Horde and high HP Point damage troops like Knight. So, basically you need cards which cover his weaknesses. MK + Hog Rider is one of the strongest hog combo in the game at the moment. MK is a great tank and a threat card as well as a splash troops for your Hog Rider making it easy for the hog to reach the tower and start hammering it. This is however, weak to air troops so make sure you have spells like arrows or fireball in your hand. MK + Battle ram is similar to the above-mentioned combo; however, it is a bit inconsistent in terms of damage it deals. What I mean is often, the battle ram won’t connect so the damage won’t be much. However, when it connects, it will deal tons of damage. Similar to above, keep spells in your hand. MK + Miner is a bit different combo than the above ones. This combo is far more consistent in terms of damage as long as you can play well with Miner (placement tactics). This combo is cheaper as well so you can play it more amount of times. MK acts solely as a Threat card here, so that players focus on killing him while Miner as actually your win-condition and takes down a chunk of tower HP. MK + Bandit is an awesome combo. Both have a special ability that enables them to move quickly. They both have a very powerful synergy as Bandit’s dash will take care of the troops who survive MK’s Jump. They are threatening combo as you need to act quickly. MK + GY is the old Tankyard combo. But the difference between the other Tankyard decks is that this combo also functions as a Splashyard deck combo as Mega Knight is a Splash troops. You can add Tornado here so that all troops gather around the tower on which the Mega Knight jumps dealing tons of damage to the tower as well as killing enemy troops. Even without Tornado, this combo is pretty effective. MK + Loon is a scary combo. Balloon is a slow card while MK is a faster card so this contrasting element in the push makes it complex and difficult to counter. Opponent has to focus on killing the MK first as he is faster but since he rather takes a good amount of time to die, the Balloon can reach the tower so you need Bats or Minions to counter it. Arrows here are important as they can kill those air troops and thus, this combo can deal tremendous amount of damage. MK isn’t a beatdown tank. However, it doesn’t mean he cannot be used in beatdown decks. MK + Tank is rather a unique combination of two tanks in one deck. But the reason that MK doubles as a Splash support so he acts here as a high HP support rather than a tank. These combos are hard to place down as you need high amount of elixir, making Elixir Collector a compulsion. However, once placed, they are difficult to take down. Due to MK’s versatility, almost all spells synergise well with it some deck or the other. Main use of spells is to cover his weaknesses. The Log is rather not necessary in MK decks but when used, follows the same role as in other decks. Zap helps to finish of troops while Lightning helps to destroy buildings and weaken high HP troops while both of them help to reset inferno tower, inferno dragon and sparky. Mega Knight is a very powerful defensive card. In fact, he can take down many pushes on its own. However, he is a splash troop with medium damage, so he doesn’t do well as a tank killer. So, to cover this weakness you need a strong tank killer with him. Before going on synergies, let’s discuss how well he does on his own. He can take down Ice Golem + Hog Rider combo alone with 0 damage on your tower. That’s raw power! He can wreck Battle Ram pushes, X-bow, Graveyard, Mortar, 3M, Spawners, Log bait pushes and those annoying Elite Barbs! MK + Inferno Dragon is a combo used in almost all MK decks. Inferno Dragon has established its place as staple tank killer! MK can take care of those support troops while Inferno Dragon melts down the tank. However, both of them are weak to air swarms so keep a spell in hand! With Tornado, MK can devastate ground pushes. He can take down almost all support cards with this combo! Pull troops away from him so that he jumps on them. That’s basically as good as doing a Fireball + Tornado. Zap is a must need if you don’t have eWiz. 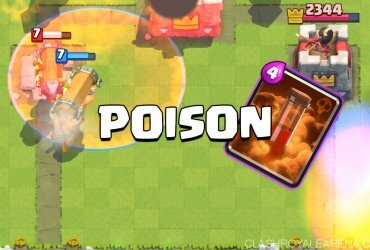 Most players will use in Inferno Dragon on offense to kill your MK, so Zap along with Minions or Bats are needed to take care of it and make your defence successful. It can also be used to quickly kill something like 3M down in one lane. Basically, you do Zap + MK at same time. Neutral elixir trade but you have a tank with 3300 HP left. Poison helps MK on defense a lot. It takes down air troops and swarms as well as weakens support troops to make MK’s work easier and enable him to survive with lot more HP. In this combo, MK is the tank while any cheap troop like Goblins or Bats can deal tons of damage to enemy troop. This combo is rather useful against cards like PEKKA which can deal lot of damage to your MK when you use him on defence. Use this combo to distract the high DPS troop and its support while the cheap troops with high DPS do the work. Mega Knight can be a tricky card to counter due to its Jump ability and high splash. The things you need to keep in mind are timing and placement. One thing about Mega Knight is that once he starts his jump, he it doesn’t stop. He can literally do a jump on the same tile he is on if you place a troop near him while he starts his jump. This can be bad as you just wasted your elixir and may cost you the game. The same thing is with placement. If you place a card more than 4 tiles away from him he will eventually jump on them and deal double the damage. On the other hand, if you place a card within 4 tiles he will just walk towards it. P.E.K.K.A is the Mega Knight’s worst nightmare. She can absolutely destroy him 1v1. For her particularly, the placement and timing doesn’t really matter much as she will kill him easily anyway. However, in a battle, MK will always be supported so you may wanna use other cards and determine the placement and timing accordingly. Ice Spirit and Fire Spirit don’t actually counter MK but can help a lot. The thing about the Spirits is that they jump and go on Kamikaze-mode before the MK can complete his jump. Even if you place MK directly on them, the spirits will still damage him. 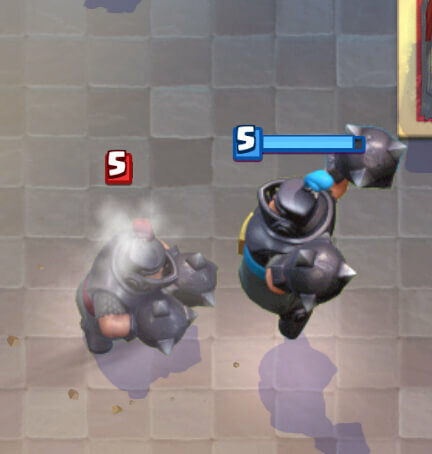 This interaction makes them excellent cards to use while defending against Mega Knight, the Ice Spirit especially, owing to the stun/freeze ability as it can freeze the Mega Knight. However, place them at a distance from MK or if they are placed like on the tile besides him, he will just kill them as quickly as they were deployed. The irony is that the Knight can actually counter the Mega Knight, though not 1v1. You will need crown tower and another card’s help. There are three ways to counter him mainly. First is with Ice Spirit. You can place the Ice Spirit in the cross fire zone of your tower. MK will jump on it but due to above mentioned interaction, the Ice Spirit will jump first and end up freezing him. As soon as that, place your Knight so basically the Knight along with the two towers will kill the Mega Knight. Second is Knight + Ranged support (or a building). Use your Knight to tank and a high DPS ranged unit behind the Knight to take of the Mega Knight. Lastly, use tank and spank tactic. Use Knight to tank and absorb damage and then place a cheap troop with HP DPS behind MK. Ice Golem does the same role as Knight above except that it doesn’t do damage. However, he attacks only buildings, so can thus be used to kite MK to other lane while a ranged troop (or building) takes care of him. You can also use him in Tank and spank tactic, the catch is that Ice Golem doesn’t do damage nor has the health as high as Knight so you need a higher DPS card to kill him. Both these cards can melt Mega Knight. Just make sure to take care of distraction troops like Bats or Minions. Sometimes, you may need to use a distraction unit yourself like Ice Golem or Ice Spirit to buy time so that the Inferno cards can fully heat up. Cannon Cart can crazily counter MK if placed near the cross-fire zone of your towers. MK will take care of the entire Cart and still be alive but barely with any HP so that he will die by the time he reaches your tower. Make sure you place it properly or MK may survive with lot more HP than you wanted. Minion Horde (or punish Horde according to Lolman) can just shred away the Mega Knight. It needs to be placed in the middle of the lane so that there will be less movement and slightly more hits. However, this is risky and not dependable as opponent can use a spell to wipe out the Minion Horde. 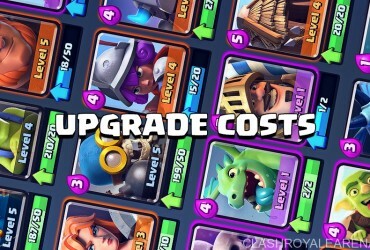 These include cards like Night Witch, Bandit, Lumberjack, Elite barbs, Prince, Dark Prince etc. Some of them can take care of Mega Knight on their own but as it happens in a battle, a card is rarely alone. So, most of the time you will need a distraction unit like Ice Golem or Ice Spirit to counter him completely. Tombstone is a weird card to be seen on this list but the thing is that the Skeletons that spawn are a great distraction for MK. Place your Tombstone on the tile right in front of King Tower towards the lane the MK is in. The skeletons that spawn will constantly distract him and eventually pull him towards the Tombstone. MK will kill the tombstone and the death spawn skeletons but after that will hit the closest thing: Your King tower thus activating it!!! Also, the skeletons distract him long enough that the two Princess towers will deal lot of damage to him.